Rugged, all-purpose mobile work bench goes where you need it to get the job done. Bench legs are made of 2 x 2 x 1/8" welded angle for maximum strength and durability. 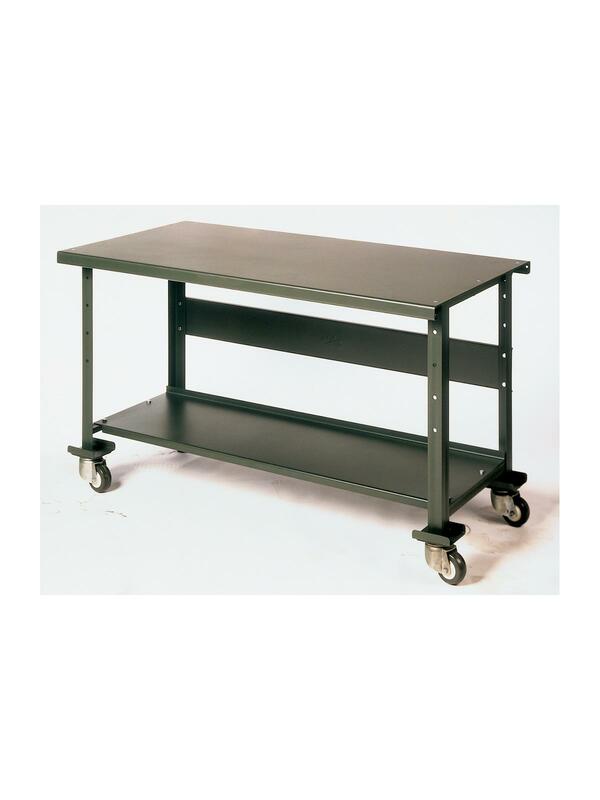 Tough bench top is made of 12 ga. formed steel and predrilled and countersunk for ease of assembly. Formed stringer and lower shelf assure rigidity under the heaviest of loads. Handles up to 1400 lb. loads. 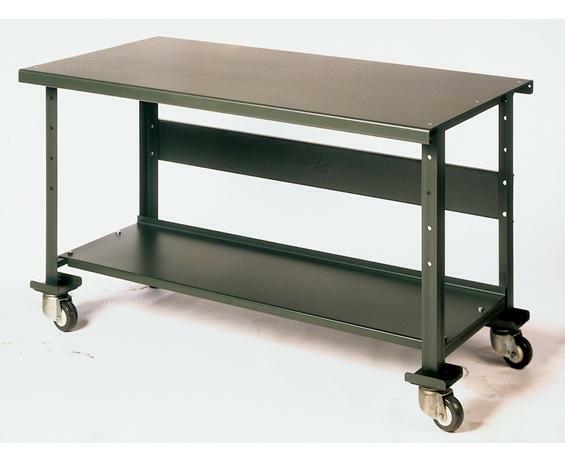 5" roller bearing casters are an extension of the all welded, angle bench legs. Measures 60"L. x 29"D. x 35"H. Other sizes available-call for information. Shipped KD. SK Brakes lock both wheel and swivel rigging -- furnished on rubber swivel casters. FOB Shipping Point.